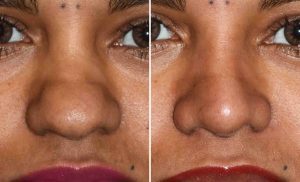 Background: The Mestizo (Mexican) patient is the largest ethnic minority in the U.S.. One of their most common plastic surgery requests is for rhinoplasty. Their nose shape often presents as a bulbous broad nasal tip without a defined shape and an underlying weak structural framework. These structural characteristics are often combined with thick skin, amplifying the ill-defined shape of the nose. The thick skin in a nose of any ethnicity presents challenges for good results. Their are limited maneuvers that can be done in surgery (tip defatting) as well as after surgery. (steroid and/or 5FU injections) But adding structural support is also helpful when indicated as it helps stretch out the overlying skin. 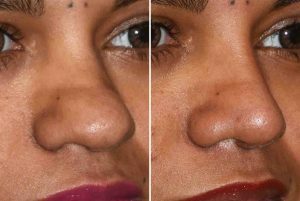 Case Study: This young Mexican female presented for nose reshaping surgery. Her nose had a low nasal bridge and a broad and thick nasal tip. Despite her thick nasal skin the shape of her large lower alar cartilages could be seen through her nasal skin. 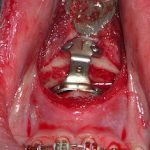 Under general anesthesia and through an open rhinoplasty approach, a large septal graft was harvested through bilateral subperichondral flaps from above. A double layer dorsal graft was created from the septum for dorsal augmentation. The septal harvest was also used to create a columellar strut graft. 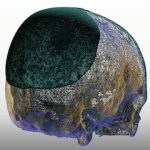 The lower alar cartilages underwent a large cephalic trim and were reshaped with dome suturing. The tip reshaping created a more v-shaped nose from the submental view. At six weeks after surgery, her nose had a much improved shape and no significant tip edema. Steroid/5-FU injections were not done. It is assumed her nasal shape will continue to develop improved shape with more healing time. 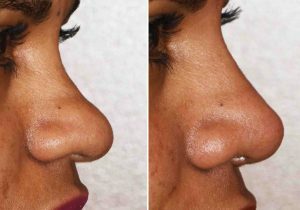 1) The Mexican nose is often characterized by a broad tip, low nasal bridge and thick skin. 2) The structural characteristics of the Mexican nose requires an open rhinoplasty. 3) Even with thick skin, good results are possible with Mexican rhinoplasty surgery.